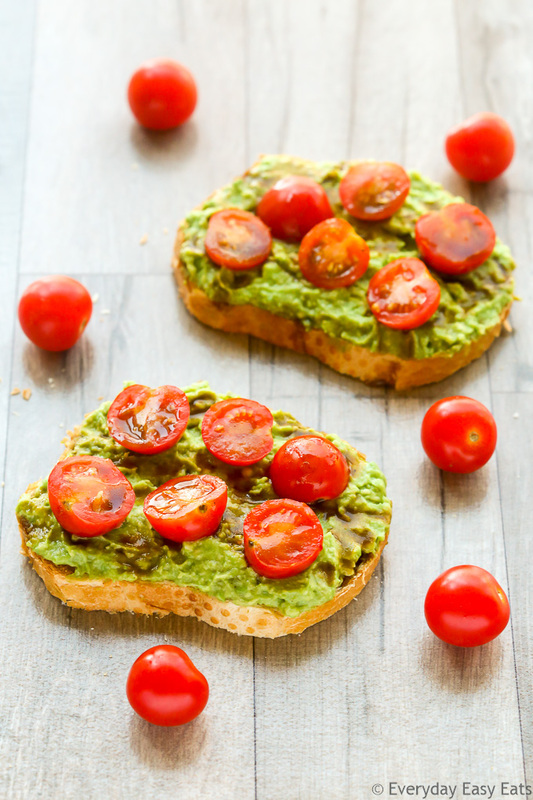 This Cherry Tomato Avocado Toast recipe is super flavorful and simple to make. Perfect for breakfast, snacking and even a light meal. There are so many ways you can prepare avocado toast, and this is one of my favorite ways because is so simple and tasty. This pretty little number is made with the usual toasted bread topped with mashed avocado, but I like to amp up the flavor by mixing in a squeeze of lemon juice and a little S&P with the avocado. The toast is then topped with halved cherry tomatoes and a light drizzle of balsamic vinaigrette. If you plan on having this for lunch or dinner, I recommend serving it with a bowl of soup for a more satisfying meal. My Creamy Mushroom Soup, Butternut Squash Apple Soup or Carrot Ginger Coconut Soup are all great options that compliment the flavors of this recipe very well. Halve and pit the avocado. Scoop the flesh into a bowl and mash. Mix in the lemon juice and season with salt and pepper to taste. Spread the avocado mixture evenly onto the bread slices. Divide cherry tomatoes between slices and arrange on top. 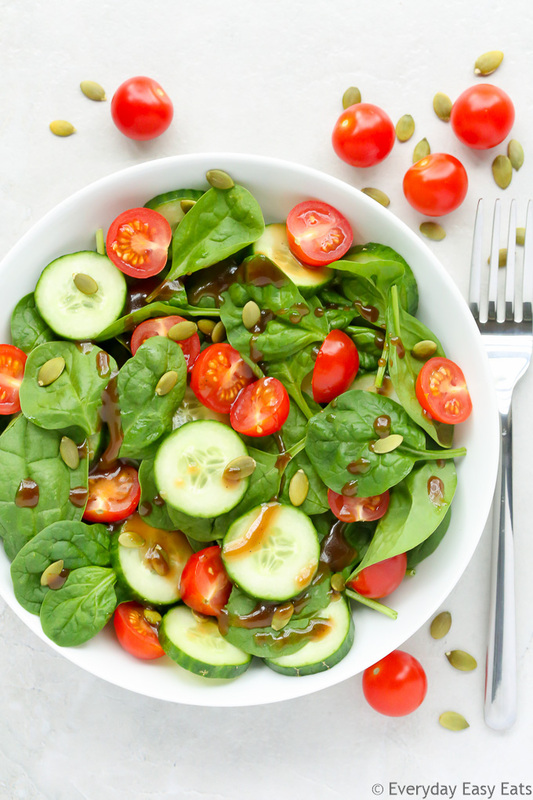 Drizzle with balsamic dressing and serve immediately. To make this recipe gluten-free, use any type of gluten-free bread. Lovely! And sounds wonderful – a perfect breakfast, lunch, dinner or snack! Avocado toast is a classic! I love the addition of balsam 🙂 I love to top mine with a fried egg…now I’m getting hungry!! I am not really a fan of avocado! But this tangy toast seems the best way to enjoy it! Love the pop of green and red in the pictures! I’m surprised you don’t like avocado! But I guess everyone has different tastes. 🙂 Thanks so much girl! !